12.5+/- Acres & 127' of Private ELK LAKE frontage on the sunset shores of the lake! This awesome piece of property offers one adorable, 2 bedroom 1 bath waterfront cottage on 1 parcel & a wonderful small 2 bedroom 1 bath log cabin and 30' x 48' pole building on the other parcel. 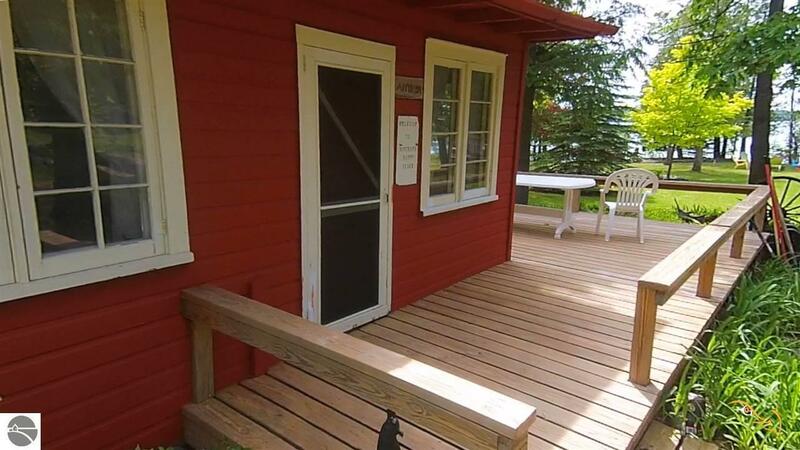 Use the cabins now and enjoy Northern Michigan Summers or stay in one and build your waterfront dream home. The second parcel offers potential sunset views over Elk Lake which would make a fantastic spot for another home with a walk out lower level. Location is close to fine dining, marinas, gas, hardware & grocery stores, Alden, Elk Rapids and Traverse City not too far either!